A framed House Tour Excursions from Madeira cruise ship port. 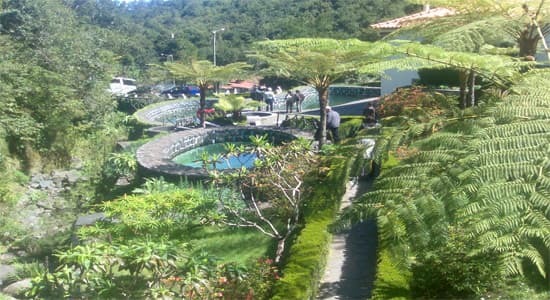 Set on a hill in the heart of the island´s willow plantations some 14 km northeast of Funchal. 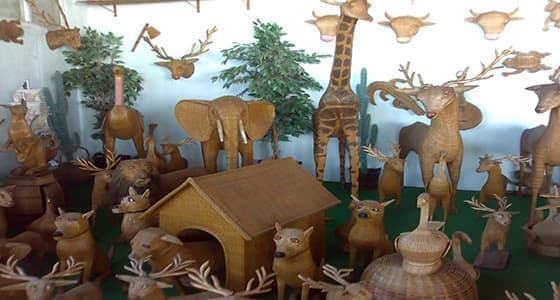 Camacha is centre of Madeira wicker wicker industry and is home to one of the island largest handicrafts centre. Portugal´s first ever game of soccer being played out on camacha square. 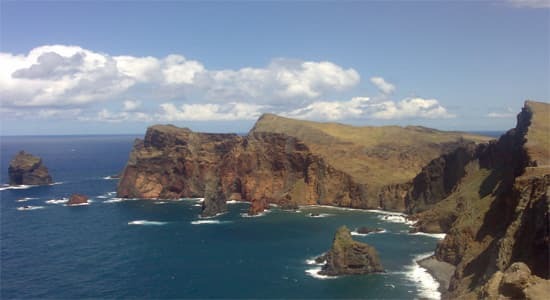 The third highest point in Madeira at 1818 m. On certain days the moutain top is often well above the cloud line. At summit , the views can be astounding, with both coasts of the island sometimes visible though more often than not, be submerged beneath fluffy clounds itself an impressive sight. 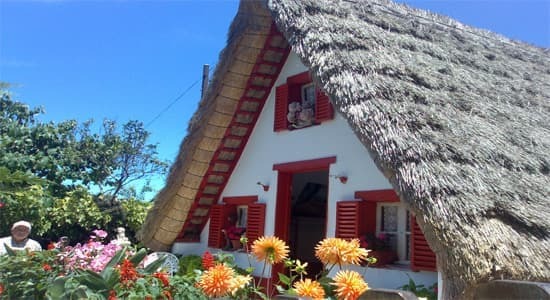 Santana is known for the traditional homes constructed with A shaped rooftops, and protected with straw. These were mainly rural homes, used by local farmers, during the settlement of the island, with white-painted walls, red doors and windows with blue trim. Most of the surviving buildings are tourist attractions, and maintained (for example, the straw roofs are replace every four to five years). 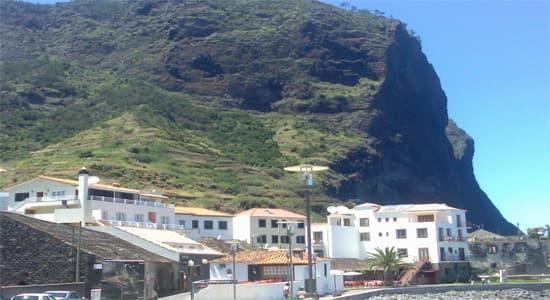 The name porto da cruz came from the fact that the first settles affixed a steel cross at the port, in order to better identify the location to ocean travelers. Cultivation and harvesting of sugarcane occupied the activities of early settlers. The sugarcane factory, completed after 1858, was part of this industry, converting the grapes and juice into a local spirit.